You’ve plugged in your microphone and want to know if it’s working at all? 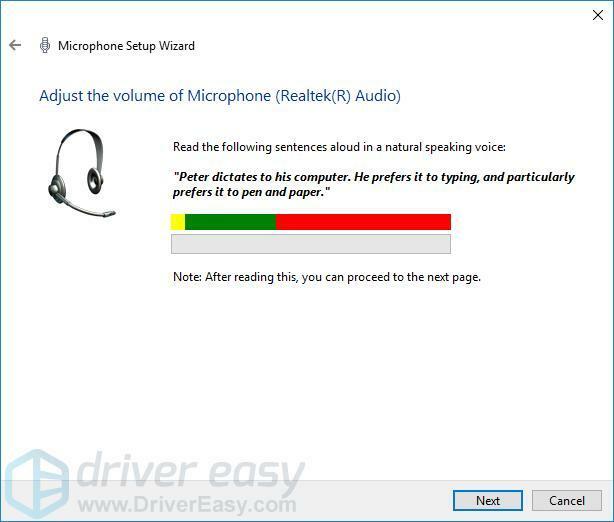 Here’re some tips for you to test microphone on Windows 10. Easily and quickly. 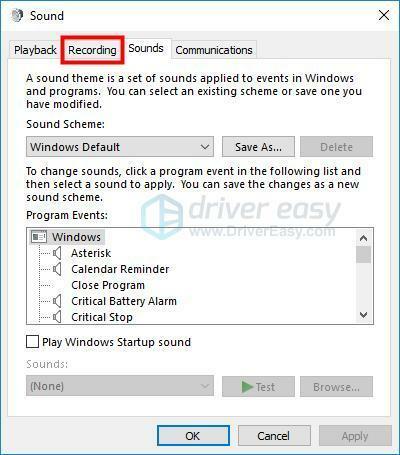 How to test microphone on Windows 10? How to fix microphone not working on PC? 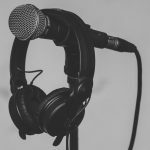 Tip 1: How to test microphone on Windows 10? 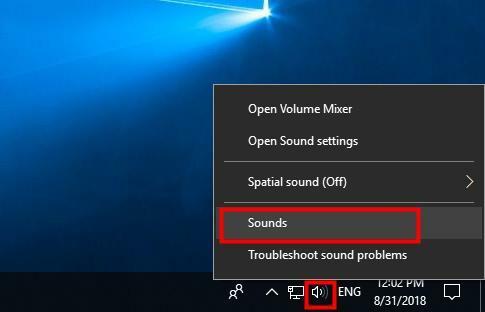 Is this the first time you’ve connected the microphone to Windows 10? 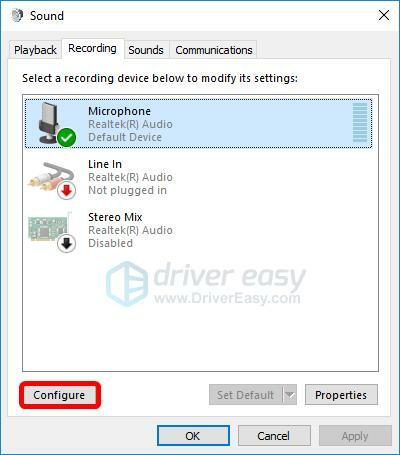 If so, you can follow the steps below to install the mic; If not, you can click here to see how to test a microphone that has already been installed. Right-click the speaker icon on the bottom left of your screen, then select Sounds. Select the microphone you want to set up, and click the Configure button in the lower left. 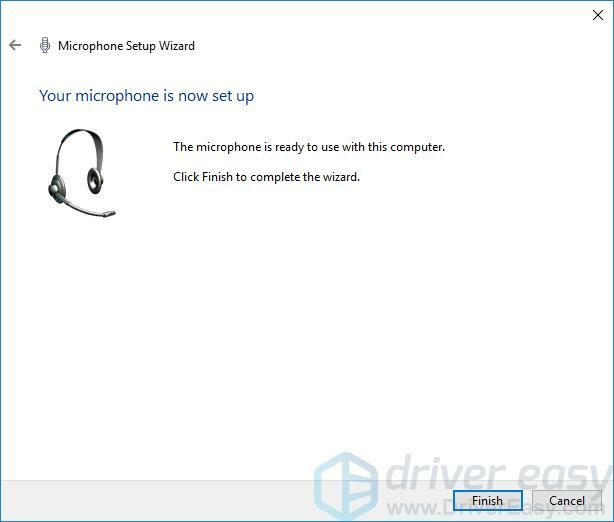 Follow the steps of the Microphone Setup Wizard. When it’s complete, click Fininsh. Right-click the speaker icon in the bottom-right part of your screen, then select Sounds. Try speaking into your microphone to test if it’s working properly. If it is, you should see a green bar rising next to it while you talk. 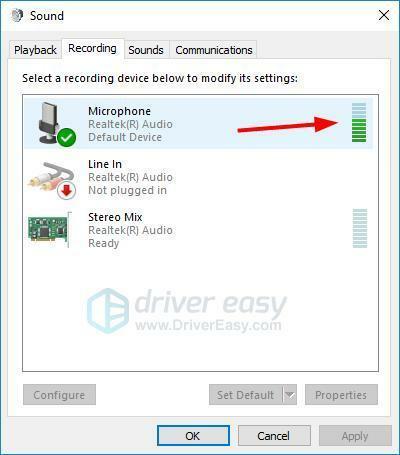 Another way to test microphone on Windows 10 is — if you want to speak something and quickly listen to your voices, you can use the pre-installed app Voice Recorder to test your microphone — you can refer to this article: Voice Recorder Windows 10 — How to use it & fix issues with it? Note: If your mic isn’t working, you may need to update your audio driver. Tip 2: How to fix microphone not working on PC? 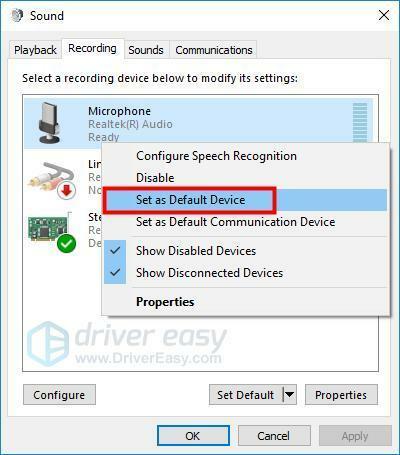 A missing or outdated audio driver may stop mic from working on PC. 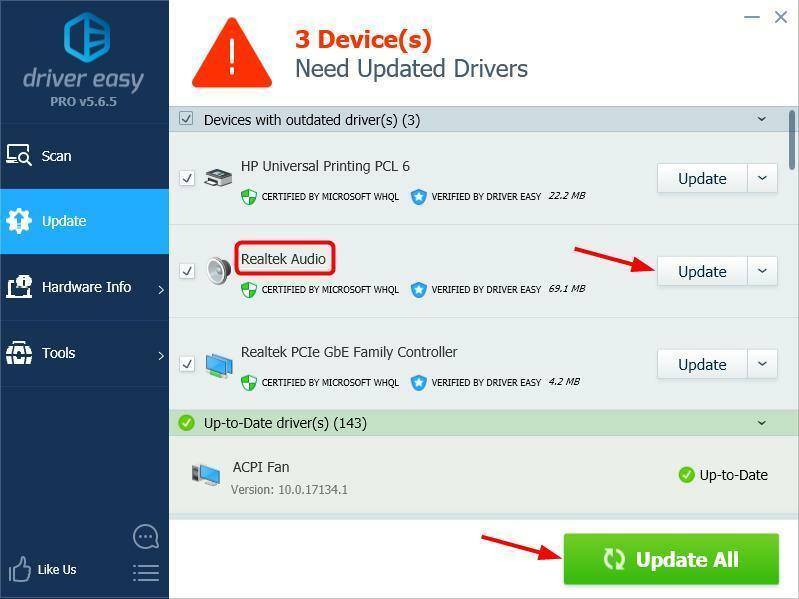 If you don’t have the time, patience or computer skills to update your audio driver manually, you can, instead, do it automatically with Driver Easy. Right-click the volume icon in the bottom-right part of your screen, then select Sounds. 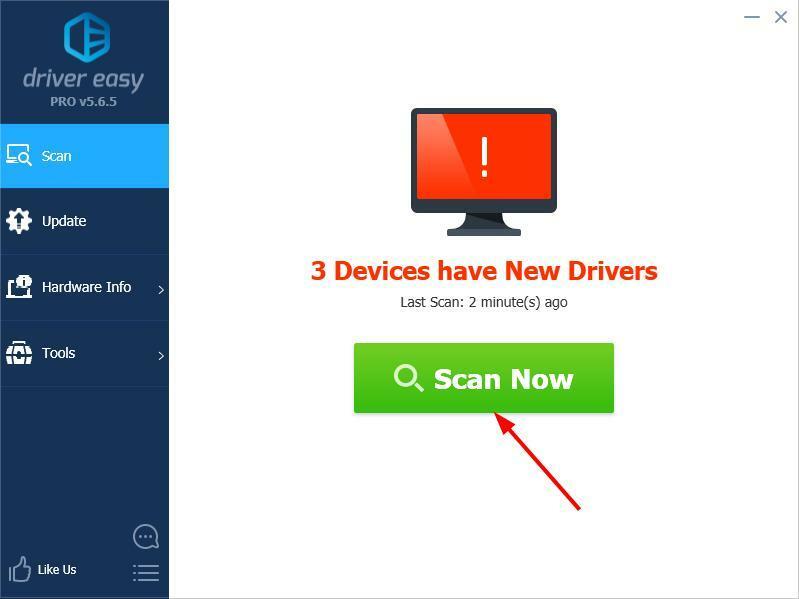 Right-click on the device you want to use, and select Set as Default Device.